Yesterday, I had the sincere pleasure of attending Kevin Huffman's (https://kevinthequilter.blogspot.com) lecture/trunk show hosted by the Sinnissippi Quilters https://sinnissippiquilters.org/ at a lovely, old Church in Rockford IL yesterday. Kevin is a super person, down-to-earth and filled with boundless energy and a contagious love of quilting. The lecture was entertaining, informative and a lovely way to spend an afternoon. To be perfectly honest, as I mentioned to Kevin, I was in a funk before I arrived at his trunk show. Well, a little over an hour later, I was feeling so much better and excited about returning home to get some serious sewing accomplished. If you ever have the opportunity to attend one of Kevin's events, I highly recommend it. The pictures I snapped are not the best; however, they will give you a glimpse of some of his stunning quilts. Last, but not least, I decided to purchase a Paper White flower bulb from Trader Joe's recently. My friend, Lizzie from https://gone2thebeach.blogspot.com/, has been "raising" these lovely flowers for years. So, Lizzie, if you are reading this blog: HELP! I need some guidance as to how to follow through with tending this "garden." Have a blessed weekend everyone and thanks for stopping by! 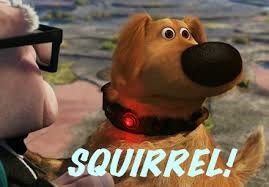 I was searching the Internet today, looking for an appropriate picture/image to use. Somehow, the samples located under New Year, did not embody what I was feeling. When I think of a peaceful setting, the first image which comes to mind, is walking in a field of golden grasses. 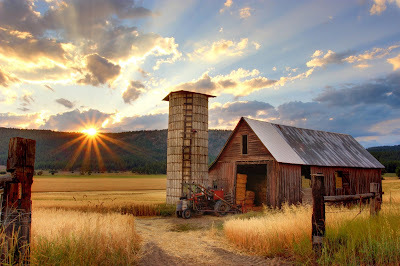 The grasses are swaying gracefully as the sun is rising or setting. The wind, soft, warm and embracing. No matter where you find peace, please know that I wish as much peace as possible in your lives, hearts, minds, souls, families, home. Hope this finds you and yours well and safe. Aptly named "Fourth of July" quilt pattern by Bonnie K. Hunter of Quiltvillehttp://quiltville.blogspot.com/p/free-patterns.html. My first quilt made by Bonnie's patterns. Pleased with the outcome. The second quilt, Jinny Beyer's "Border Blocks,"https://jinnybeyer.com/ a project long in the making. I actually handpieced it (sans the borders and binding) by hand some years ago. Pulled it out recently and decided to finish it without the extra borders as described in the pattern. I love the "punch" this quilt has with the colors and border prints, which Jinny is famous for in her designs. Fussy cutting those border prints was a bit time consuming, but, oh so worth it. Thanks for stopping by. I appreciate all of you. Be Blessed! This is just one of those special places. I have also just finished block four of the Antebellum quilt (Barbara Brackman project). Thanks for stopping by. You are appreciated! Frank and I were on a camping/hotel trip recently to PA. We had quite a bit of rain, so like many other parts of the nation. Managed to visit some Museums. Enjoyed the Amish countryside in Lancaster County. On the way home, our minivan incurred a need for a tow to a Chrysler dealer in upstate PA. We were on our way north to the Corning NY area. Stopped for gas and the van just plain would not start. Gracious and compassionate tower took care of us. Spent two days in a Hampton Inn in Mansfield, PA. Mechanic could not replicate van malady and the van started up for them over 16 times! Decided to head for home. Left on May 13th and planned on being gone 2-3 weeks. Wound up coming home on the 24th. Gratefully, no problems. Saw the Liberty Bell in Philly. Went to Constitution Museum - found the latter disappointing. Not much to see and lots of space in the building. Plus, 2,000 elementary school kids from 58 schools were on field trips there that day. They were out-of-control. Frank voiced his opinion at the ticket counter and we were pleasantly met with a full refund. Helped defer the 21.00 parking fee (4 hours) and part of lunch. A heartfelt thanks to all who serve to protect us past, present and future. It's been too long, again. Seems like it has been a very busy (good busy!) time over here at the homestead. Painting, new livingroom carpet, yadda, yadda. As you know, when one room of the house is compromised, the whole house seems to get involved! Still working on getting things back in closets, on shelves, cabinets, etc. All in good time. In between, I have been accomplishing some sewing projects, working on family history and many other mundane, but, necessary tasks. Oh, and, doing some baking! Bread mostly. Here is a picture of English Muffin Bread - Yum! Scrappy Star Quilt (Kathleen Tracy pattern) hung on compression quilt hanger handmade by DH. Bitty Quilt (Minnick and Simpson pattern) completed and adorned by handmade strawberry pin emeries handmade by my friend, Lizzy (gone2thebeach.blogspot.com - they are often for sale in her Etsy shop. I purchased a few recently (in following picture). Lizzy was kind enough to add some extra goodies! As for the Civil War Antebellum quilt along, I have gotten as far as Block Three - Friendship Star. Made need to "unsew" this one - argh. Not lying flat. It was hand pieced. Guess I did not "carefully" fussy cut the dark fabric. Lesson learned. 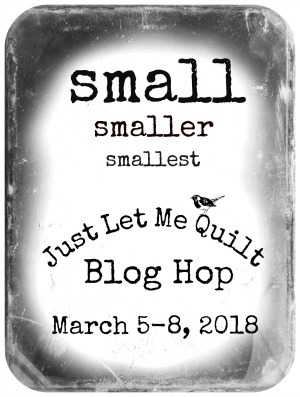 Hello Everyone...Today, I am linking up with Carol from http://www.justletmequilt.com/ as part of the "Small, Smaller, Smallest" blog hop. I did post about this on February 28; however, I wanted to join in on the fun of this hop. Here, again, is my little Mini Shoofly Quilt. This delightful pattern is by Valerie Langue, owner of http://www.thequiltmerchant.com/. The pattern was easy to follow using fabrics provided in a kit from Valerie. It was machine pieced and hand quilted by me recently. It was laundered, giving it that "hand" and appearance of being an antique. 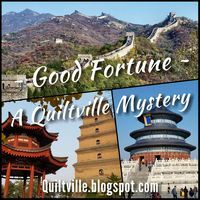 I have enjoyed joining this blog hop and visiting all of the other quilters who have contributed to same. So many lovely, talented people. Thank you, Carol, for allowing me to contribute. A Brief History of Valentines Day.